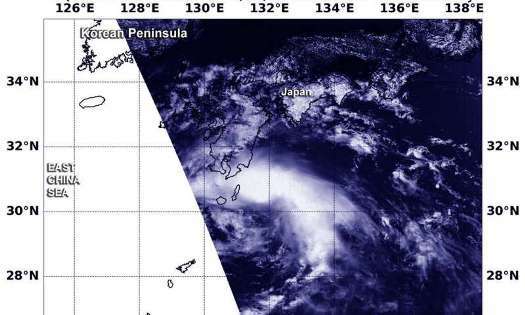 Tropical Depression Jongdari re-strengthened into a tropical storm when it was southeast of Kyushu, Japan and NASA’s Aqua satellite saw it take on a comma shape. On July 31 at 0345 UTC (July 30 at 11:45 p.m. EDT), the Moderate Resolution Imaging Spectroradiometer or MODIS instrument that flies aboard NASA’s Aqua satellite provided a visible image of Tropical Storm Jongdari. The image revealed that the storm had taken on a signature comma shape which is associated with a more organized storm, although it is still elongated. The tropical storm has powerful storms around the center and a band extending to the northeast. That’s quite a difference from the very elongated appearance of the system the previous day, when wind shear was battering the system. 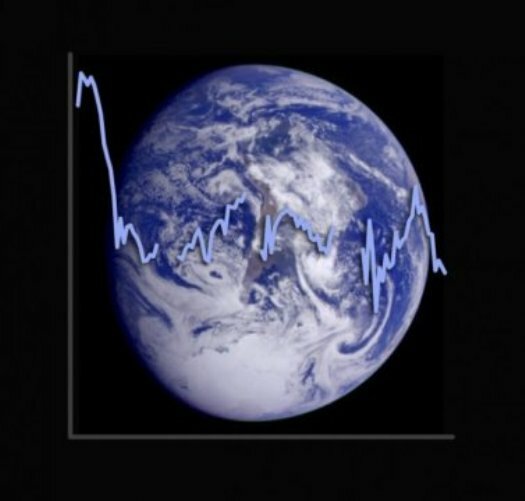 The sea surface temperatures are warm enough to support intensification as they are as warm as or warmer than the 80 degrees Fahrenheit threshold (26.6 degrees Celsius). On July 31 at 5 a.m. EDT (0900 UTC) Tropical Storm Jongdari was located near 30.1 degrees north latitude and 130.9 degrees east longitude. That’s about 207 nautical miles south-southeast of Sasebo, Japan. Jongdari was moving to the northwest. Maximum sustained winds 35 knots (40 mph/62 kph). The Joint Typhoon Warning Center or JTWC forecast takes Jongdari in a westerly direction toward China. The JTWC expects Jongdari to make landfall south of Shanghai on August 2. 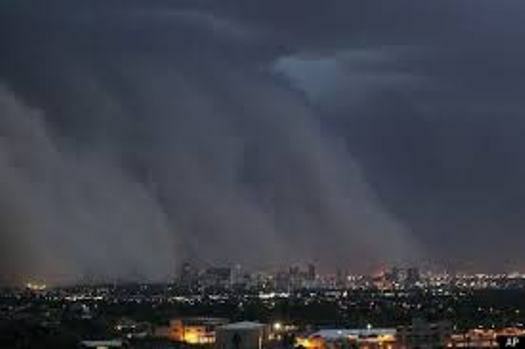 Hundreds of thousands of homes woke up to lights out after Monday night’s monsoon storm swept through the Valley. Seventy-mile-per-hour winds ripped up trees and tore down power lines in its path. A massive tree that toppled over in a backyard wipe out 1,027 homes of power, alone. North Phoenix residents inside a neighborhood near Ninth Street and Cochise say the damage is unbelievable. “We heard a bunch of crashes because the wires were clicking together behind us and then we heard a bunch of and crashes and then a couple trees went down,” Wendy Hartman said. Overnight, APS responded to the outages in this area and they say clean-up has been the biggest challenge. “We don’t have a specific time because we come up on scenes like this where we have to take down a 60-foot tree, so it just kind of depends on the situation in the neighborhood, but just know that there are a lot of APS crews working non-stop to get everyone back on safely,” Suzanne Trevino said. 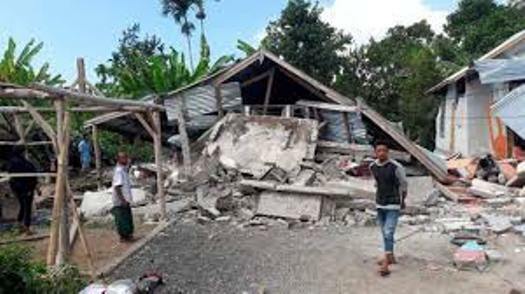 There were reportedly more than 120 aftershocks following Sunday’s earthquake. The national coordinator of Civil Protection, Luis Felipe Puente, informed through his Twitter account that the Popocatépetl volcano presented activity. 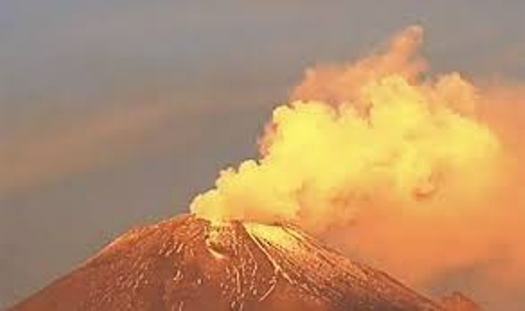 Around 3:00 AM on Tuesday morning, Popocatépetl exploded sending ash 2 kilometers high. The fall of ash caused by volcanic activity is recorded in Amecameca, Acuautla, Ecatzingo, Ozumba and Tepetlixpa. Puente called on the population of the affected municipalities to take the Civil Protection recommendations, such as covering nose and mouth, not doing outdoor activities, keeping pets in a covered place and protecting their food, among other measures. The director of the Municipal Civil Protection Operational Unit in Puebla, Gustavo Salvatori, reported that monitoring of the behavior of the volcano is maintained, as well as the direction of the wind that favors the fall of ash in the State of Mexico and Morelos. The National Center indicated that little by little the conditions of the Popocatépetl return to normal, reason why the semaphore of volcanic alert will remain in yellow phase 2. 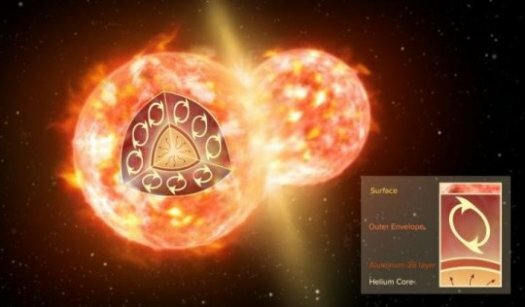 Cornell University researchers have created a reference catalog using calibrated spectra and geometric albedos — the light reflected by a surface — of 19 of the most diverse bodies in our solar system. These include all eight planets, from rocky to gaseous; nine moons, from frozen to lava spewing; and two dwarf planets, one in the asteroid belt — Ceres — and one in the Kuiper belt — Pluto. Newly formed Tropical Storm Hector has become better organized over the last twenty-four hours. Additional strengthening is forecast to occur over the next several days. Low wind shear and warm sea surface temperatures should keep Hector on a path to category one hurricane by Thursday. Although not a threat to any major land mass at the moment, the system should be monitored as the forecast models have Hector crossing into the Central Pacific on Monday. For the weekend, additional showers could move through the islands this weekend. 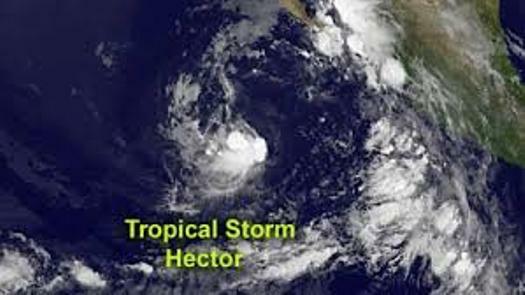 The surge of shower activity is not related to Tropical Storm Hector.